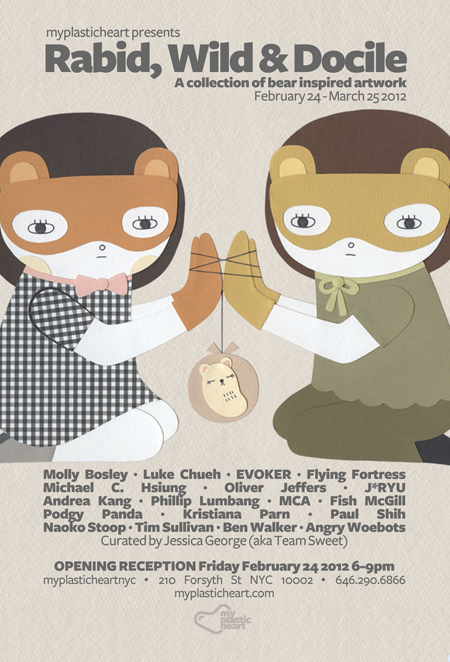 myplasticheart is excited to announce our next show opening on February 24. We have been hinting at it here on the blog, but we are finally revealing all about our next exhibit! 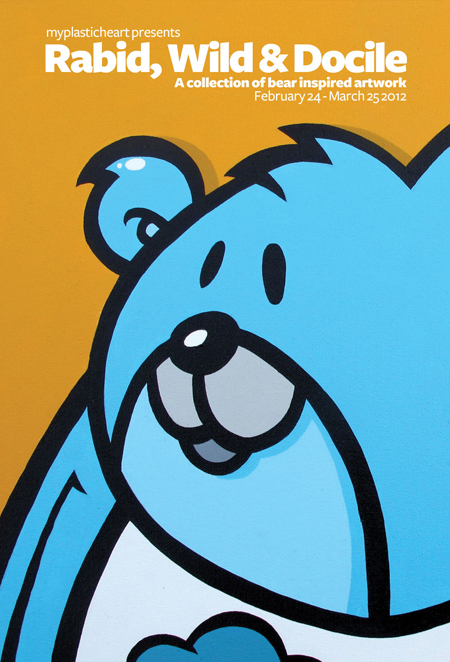 Rabid, Wild & Docile will feature a collection of bear inspired artwork and is curated by me! You’ve seen certain characters popping up in the pop-pluralism and low-brow movements but whether it be a panda, a grizzly or a polar bear, this animal has been gracing artists’ brains and finding its way to canvases, stickers, and 3D figures for awhile now. It’s time to bring some of the greatest bear characters together in one room! Previous PostFive Questions With… Tati Suarez!